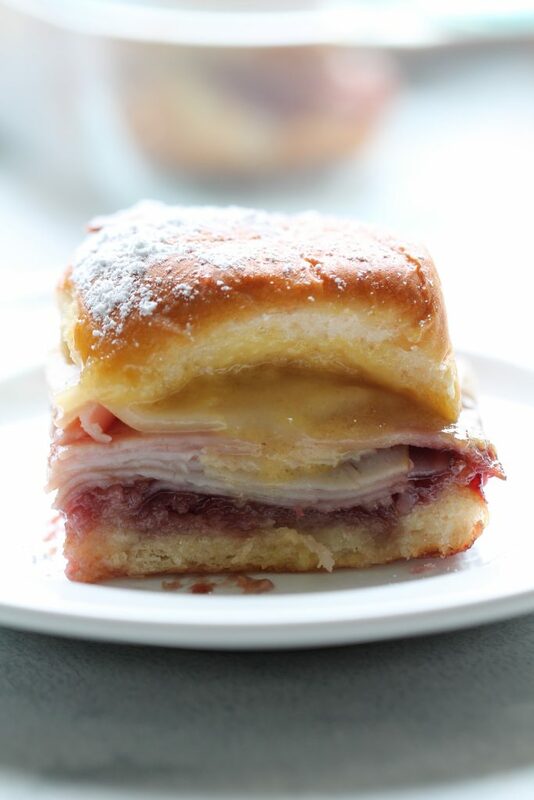 A fun twist on the Monte Cristo sandwich! Slice rolls horizontally (keeping them connected) and place in the bottom of prepared baking dish. Spread raspberry preserves on top of the bottom half of the rolls. Layer with turkey, ham and cheese. In a small bowl, whisk together 1/4 cup melted butter, egg, Worcestershire sauce, dijon mustard and mayonnaise. Spread mixture on the inside of the top half of the rolls and place on top of the sliders in the pan. Brush remaining 1/4 cup melted butter on top of rolls. Bake for 15-20 minutes, or until the tops of the rolls are golden brown and cheese is melted. 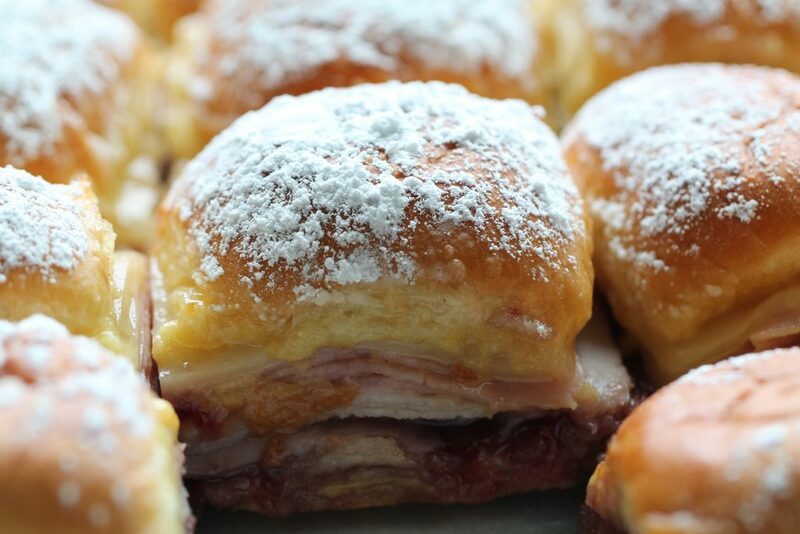 Remove from oven, garnish with powdered sugar, cut into individual sandwiches and serve. Your recipe sounds wonderful. 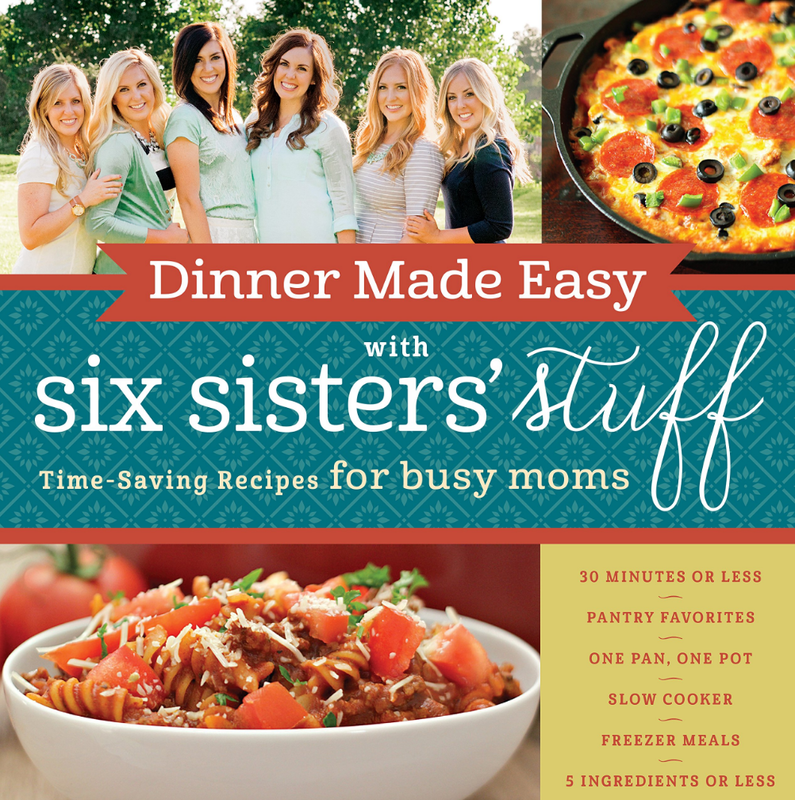 I am going to make this for my book group this month. Just wondering though, can you tell me what the egg in the sauce does? Have you made it with and without the egg before? Thanks! Hi Heather! The egg just thickens the sauce and binds all the ingredients together. I've never tried it without the egg, but I'm sure it would work fine! I was wondering the same thing. The sandwiches were delicious, but it seemed weird (and a little gross) to have egg in a spread that goes inside a sandwich. I looked at some similar recipes, and they all say to brush the egg/mustard sauce on the top of the sandwiches, not the inside of the buns. Next time I'll either skip the egg or put the sauce on the top. The egg was weird for me as well. Absolutely get it as a regular Monte Cristo is dipped in egg then fried. But after 20 minutes my inside sandwich was soggy from the egg spread.